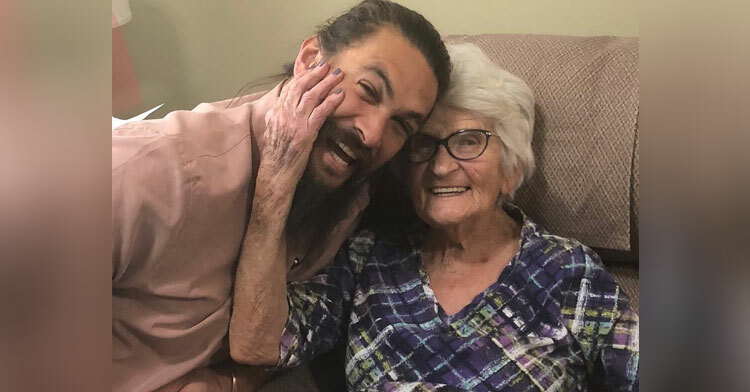 Hunky Jason Momoa Surprised His Grandma With Visit & The Internet Fell In Love Even Harder. No matter where life takes you, it always feels good to come home again. Jason Momoa is known for being the hunky star on shows like “Game of Thrones” and the blockbuster hit “Aquaman,” but at the end of the day, he’s just a family man with roots in both Hawaii and Iowa. 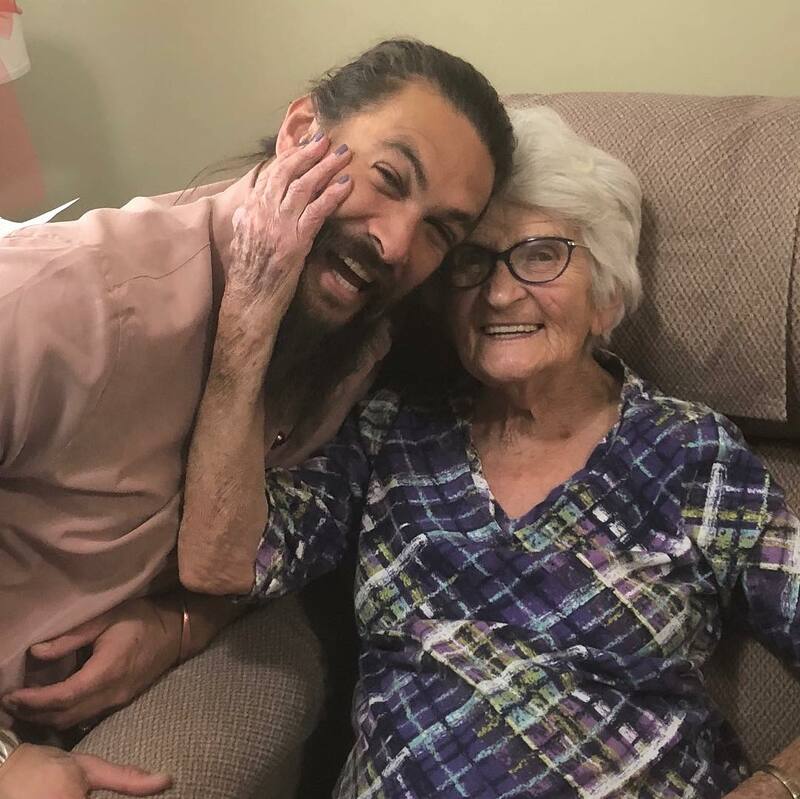 Recently, Jason was busily promoting his Justice League movie when he managed to squeeze in a trip back home to visit his grandmother, and honestly, we can’t help but swoon over how sweet he is. Jason was born in Hawaii but moved to Iowa with his mother when he was eight. He still holds both states near and dear to his heart, but he especially loves visiting Iowa because that’s where his grandmother Mabel lives. Jason recorded his entire trip back home, including the plane ride when he posed for photographs with a very excited flight crew. He then made the day of local Iowans by swinging through drive-thrus, popping into bars, and surprising his family and friends. Yet the most heartwarming part of his trip home was definitely his trip to Mabel’s nursing home. Jason calls his grandmother “the matriarch,” and he treats her with a lovely mixture of sweetness, respect, and joviality. Mabel still has a great sense of humor and Jason seems determined to keep her included in his life no matter how hectic his film-shooting schedule may get. 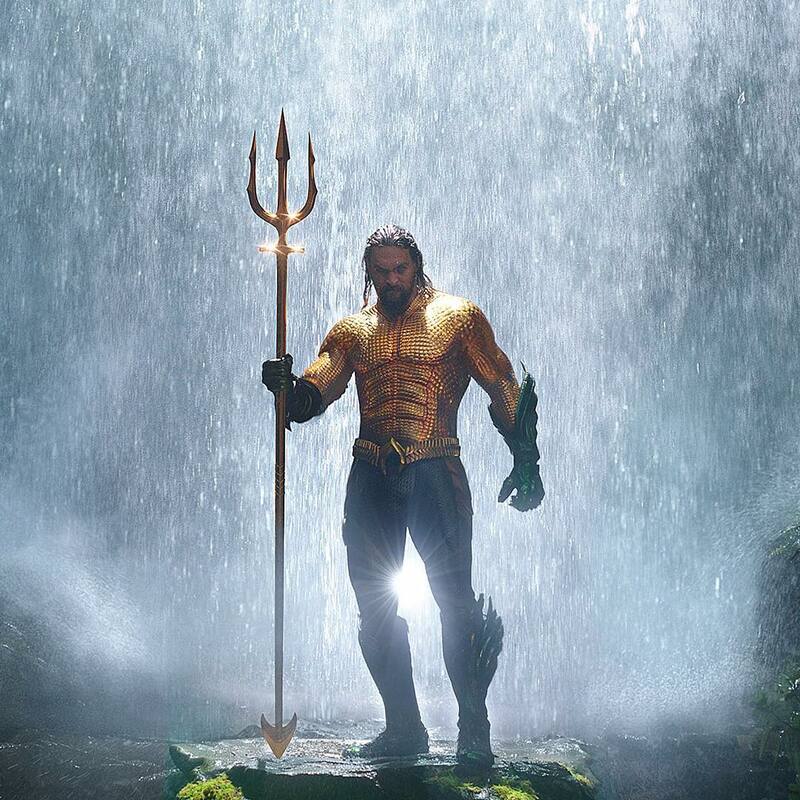 While he was filming “Aquaman,” he even shared a screenshot of when he Facetimed her to show off his costume. Aw! 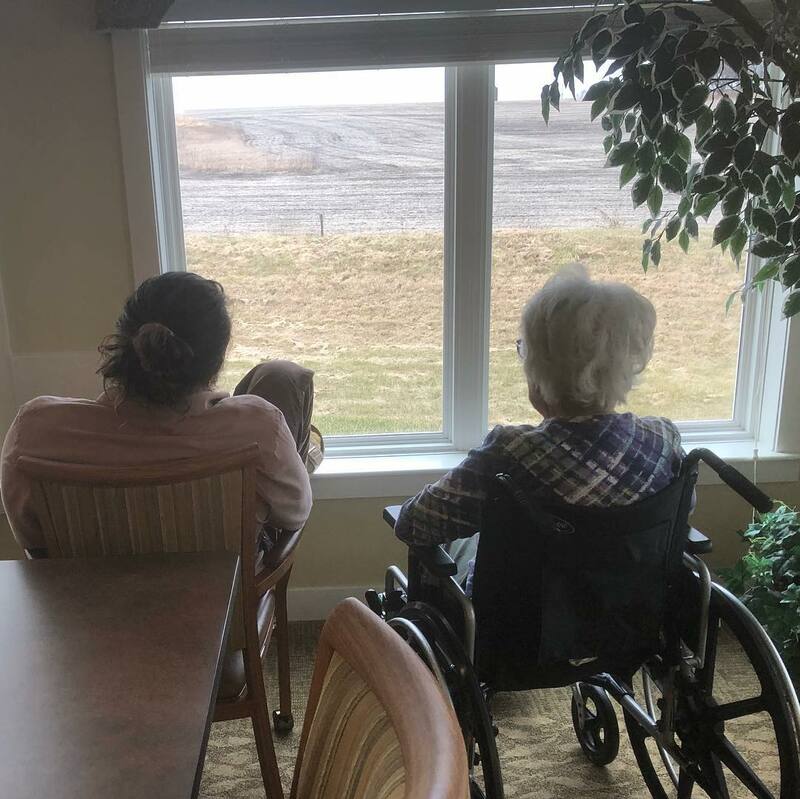 Jason spent a good amount of time visiting with Mabel on his trip back home, and he seemed perfectly content to join her daily routine and not disrupt her life in the assisted living home. He clowned around with her a bit, shared lots of hugs, and then just sat in her favorite spot by the window to soak up some of the winter sunlight filtering into the room. It’s always nice to see a big celebrity who hasn’t forgotten where he came from or the people who got him where he is. 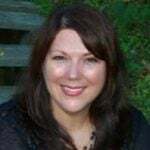 Family is always #1 — always! If you agree, please share this story with others.